Home / Products / Uniform Bundles / SAVE £10+ with Flutterstar the Fairy’s Gifting Bundle! 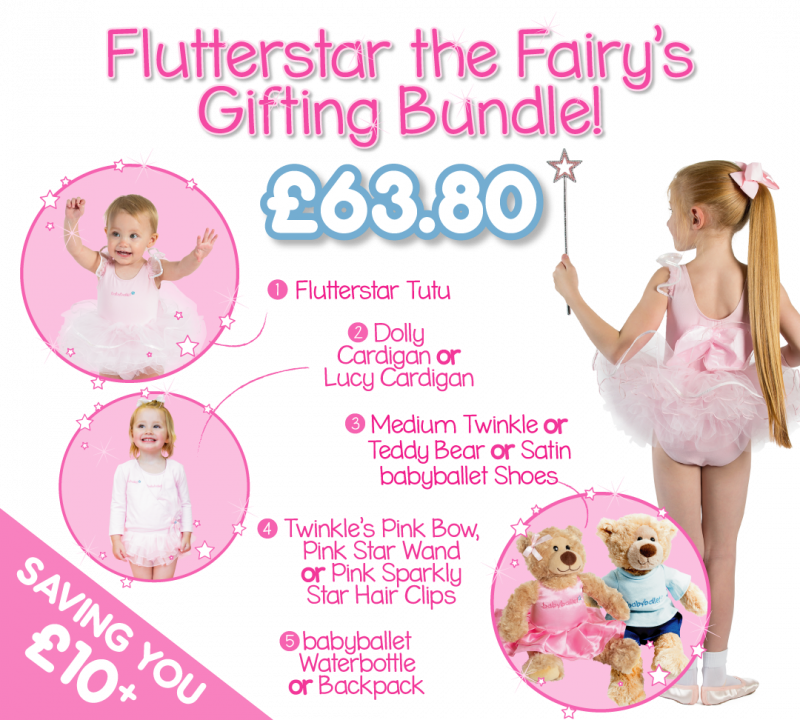 Flutterstar the Fairy’s gifting bundle is a stunning selection of items, which enable you to build the most sumptuous babyballet uniform bundle with a sparkling saving. 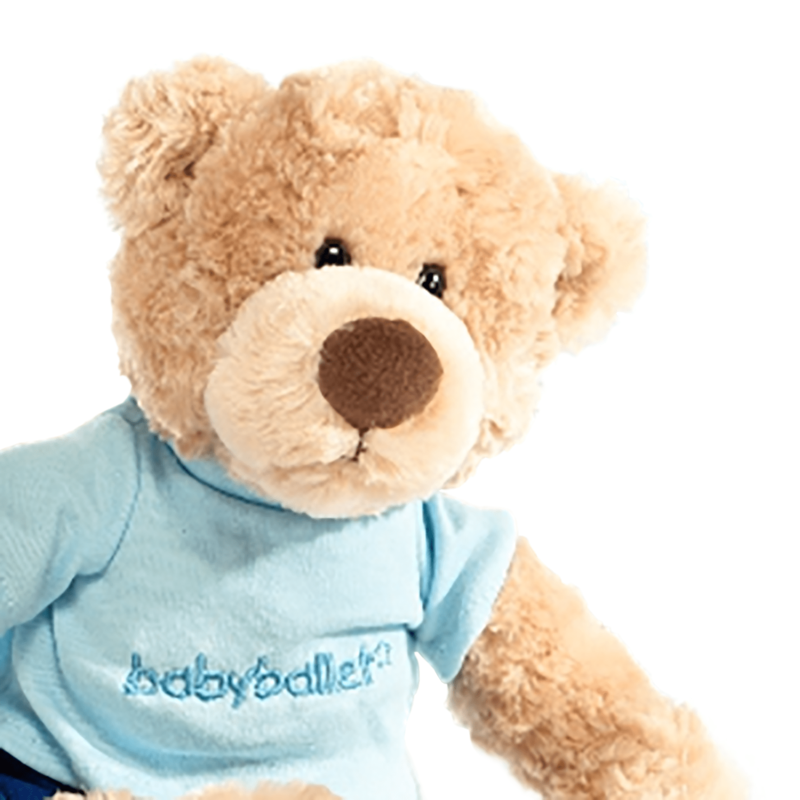 Suitable from 6 months to 6 years simply select the item and size in each of the 5 easy steps to build your beautiful babyballet bundle and be super-ready for your babyballet dance classes! 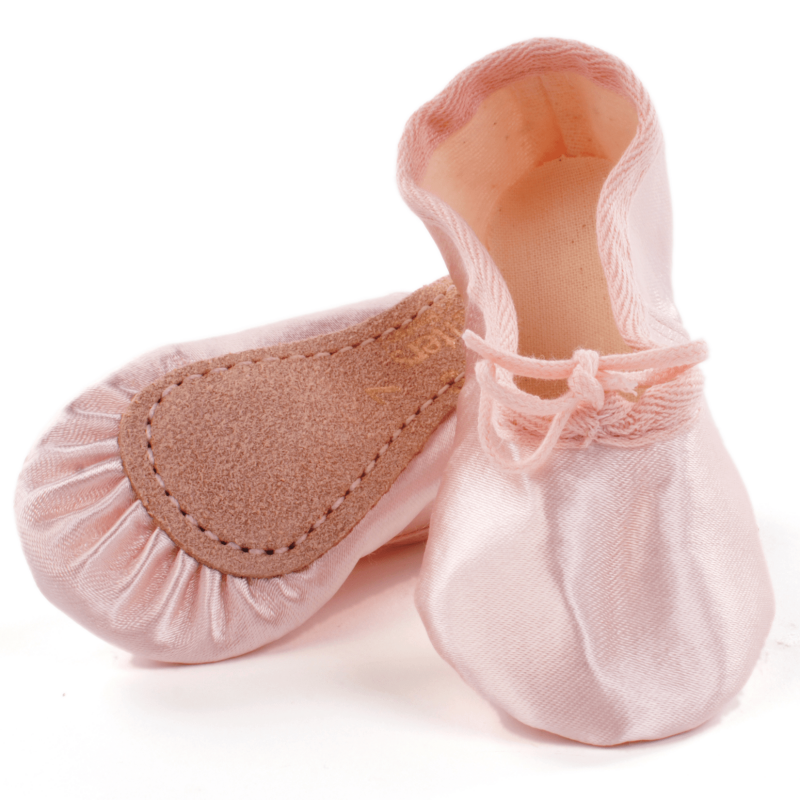 A really easy way to kit our your little star, and the perfect gift for any new little babyballet member. Compliment this with either of our supersoft Lucy or Dolly Cardigans. 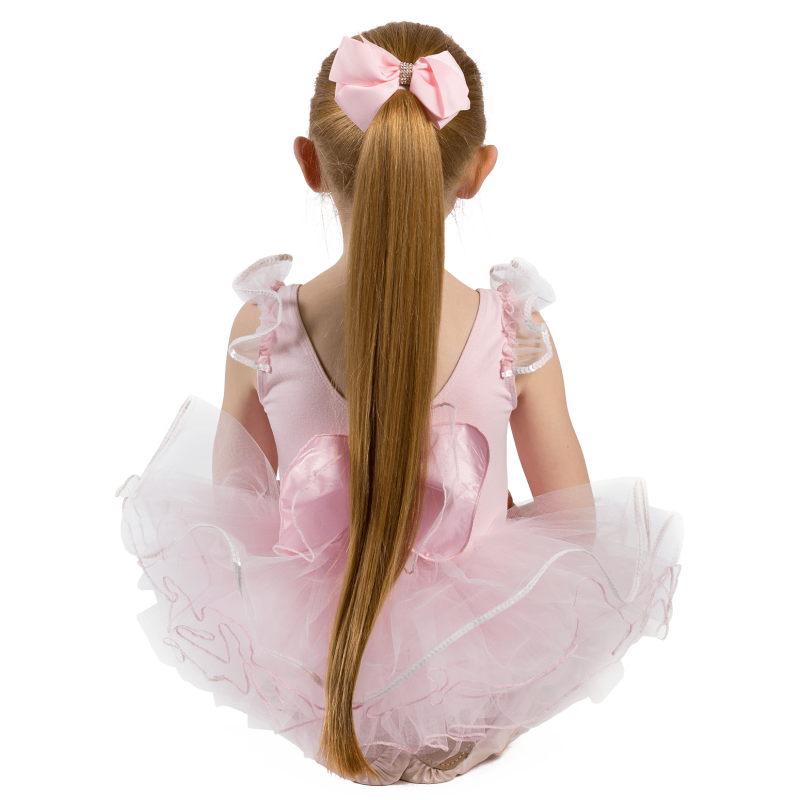 Model wears Flutterstar tutu, white ballet socks and pink satin ballet shoes. 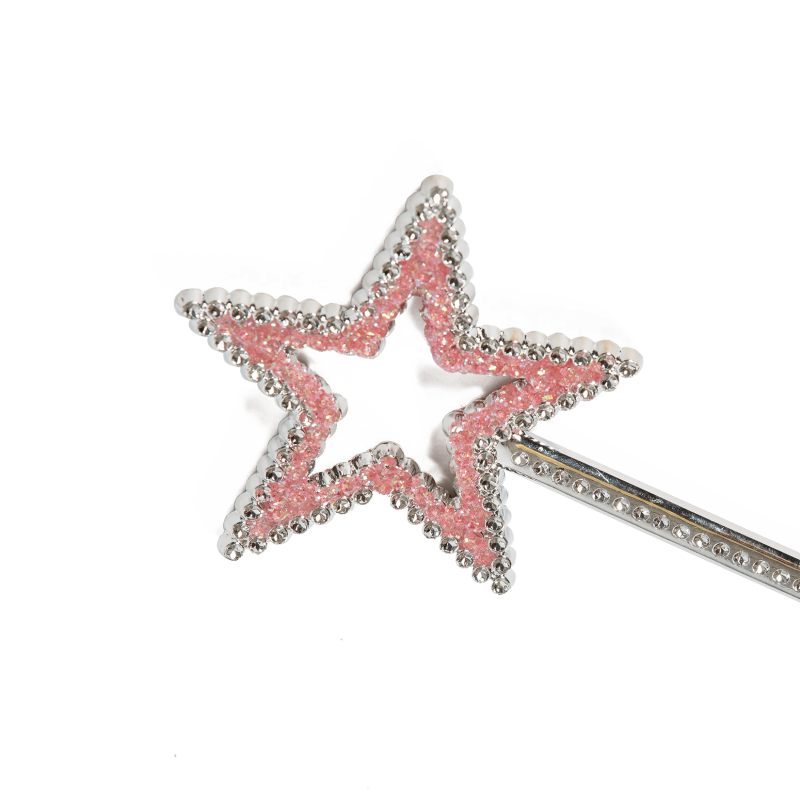 *Wand not included. Model wears Dolly cardigan over Claudia tutu.